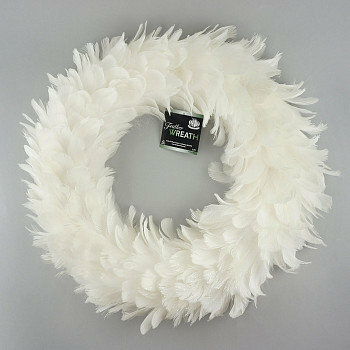 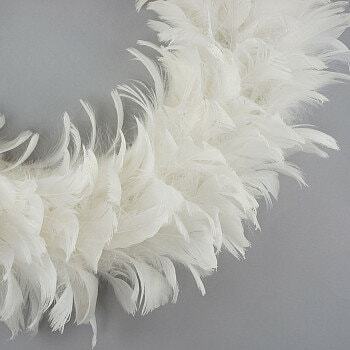 This large White Goose Coquille Feather Wreath has Opalescent Glitter details on tips of feathers. 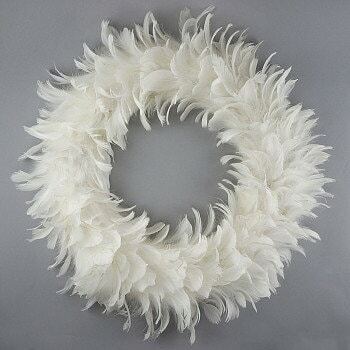 Our feather wreaths are made on a lightweight oval foam structure that is easy to puncture with nail or hook for hanging purposes. 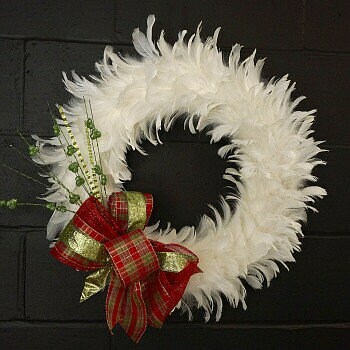 Ribbon for hanging wreath not included.